Last Fall, I came back from a two week Paris vacation feeling fat and happy. Happy, at least, until I realized I couldn’t fit into my pants. When I later got a new set of blood test results, I was also confronted by the fact that my weight was having a negative impact on my health. My InnerAge was a full ten years older than my actual age! It was time for a change: I resolved not only to lose the weight I’d gained over the previous two weeks of eating chocolate croissants and macaroons — not even just the weight I’d gained over the past two years — but to become the leanest and fittest I’ve ever been in my life. 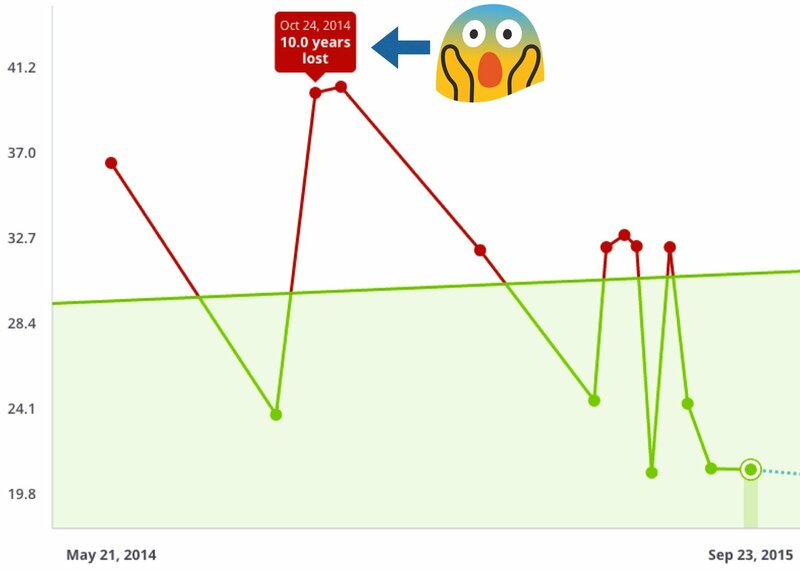 Using InsideTracker as my guide, I went on to lose twenty pounds over the course of a year. Most of my success can be attributed to four simple changes that I made a fundamental part of my life: I tracked calories, I ate more protein and fiber, I lifted weights, and I made sure to get enough sleep. In 11 months, my InnerAge went from ten years older than the calendar claimed, to ten years younger. My pant size went from a 32 waist to a 30, and I’ve had to throw out or donate the large portion of my wardrobe that no longer fits me. For the first time in my life, my abs are visible. 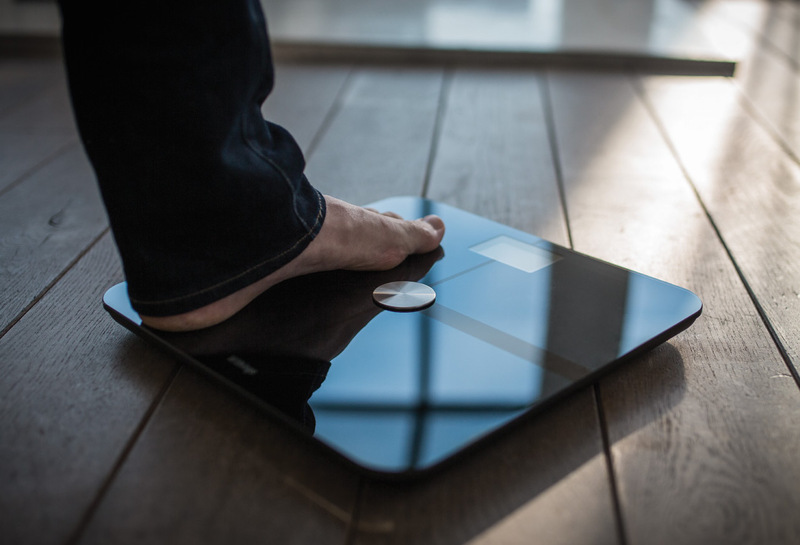 To make sure that I was losing more fat than lean mass, I weighed myself daily on a Withings scale that takes bodyfat measurements through bioelectrical impedance. My fitness journey isn’t over, but I wanted to reflect on how I got to where I am now - and how you can get the same kind of life-changing results with the InsideTracker platform. I focused on these because all three markers are intimately connected with body fat, lean mass (muscle, bone and organs), as well as overall health and longevity. In addition, I continued to lift weights twice a week. Nominally, each of these recommendations is intended to address a particular biomarker (spirulina for cholesterol, sleep for testosterone, etc. ), but as you’ll see shortly, an improvement in one marker often carries over to the others. The reverse is also true. The correlation isn’t perfect, but the trends are very strong. As I lost weight, I was surprised by just how closely changes in my body composition were matched by changes in my biomarkers. For the most part, all three behaved just as the scientific literature said they would: fasting glucose and total cholesterol went down, total testosterone went up. Similarly, my InnerAge improved. All of this happened without making draconian changes to my diet or exercise routines. In the past, I’ve tried paleo, Slow-Carb™, and a number of other diet plans that involve eliminating entire categories of food. Inevitably, staying on the diet felt too restrictive to be sustainable and I would abandon it. By using a flexible but disciplined approach centered on eating foods recommended by my InsideTracker Nutrition page, I was able to enjoy typically verboten foods like pizza, ramen, and ice cream once or twice a week and still make progress towards my goal. That’s not to say that dialing in my diet was easy, or that every food recommended by InsideTracker worked perfectly for me. I had to adjust periodically: too many calories and my weight moved in the wrong direction, too few and I was too hungry to be very productive during the day. Feeling out that balance involved trial and error, and regularly checking my weight trends. Day to day fluctuations of weight can be significant, as much as 2-3 lbs overnight in my case, and depend on things like hydration, salt intake, and carb intake. Therefore, I focus more on the five day running average rather than day to day changes. So what does all that look like in practice? My breakfast and lunch look pretty similar most days of the week. I don’t vary them much because routine makes planning simple and also because it’s easier to isolate what may be disrupting my diet if I only introduce new foods at one meal in the day. In accordance with my InsideTracker recommendations, I focus on making sure that I get a serving of protein and soluble fiber at every meal. NB: In the interest of putting the science first, InsideTracker doesn't recommend specific supplement brands. Personally, my go to is NOW Foods for vitamins, Dr Whitaker for berberine. For exercise, I lift weights for 45 minutes twice a week. It’s a simple barbell routine focused on the main powerlifts like bench press and squat, with a few dumbbell exercises at the end for assistance work (and, I’ll be honest, for vanity). I lost the first twenty pounds without running, jogging, biking, rowing, or any other kind of cardio. In the interest of losing the last five pounds, I will confess that I’ve recently started doing a 10 minute Tabata HIIT routine two days a week. Grand total, I spend maybe two hours a week in the gym. Given the hypocaloric diet and relatively low volume of work, I’m obviously not making any big gains in the weight room. That said, I have been able to maintain my strength and minimize losing lean mass in spite of my losing weight. The end result is that my strength to weight ratio has actually gone up over time, which I’m pretty happy about. You may have noticed that I hit a bump in my progress somewhere around June. Despite being fairly consistent with my diet and exercise, I unexpectedly gained 4 lbs in a relatively short period and then had some trouble shedding that weight. This corresponded with a sudden drop in my total testosterone, from 819 ng/dl to 582 ng/dl - a 29% decrease between tests taken less than a week apart! How did I go from one of my highest testosterone results to one of my lowest results practically overnight? As part of an experiment in managing my blood iron levels, I donated a pint of whole blood with the Red Cross. Donating involves removing a significant volume of whole blood, and whole blood means everything: red cells, white cells, hormones and other metabolites. Blood plasma replenishes itself fairly quickly, bouncing back to pre-donation volumes in just a few days. 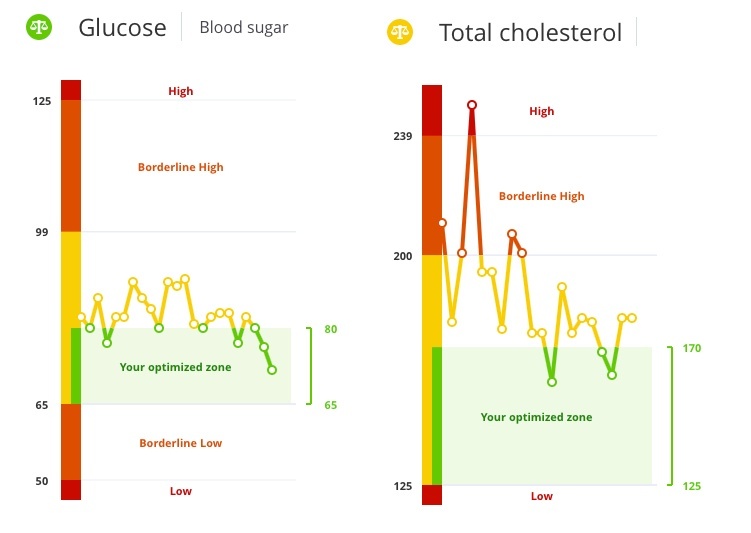 Some biomarkers, such as glucose, are tightly regulated in the body and will increase or decrease in a matter of hours in response to changes in blood volume. Others, such as testosterone, take longer to adjust. The most plausible explanation so far is that the rapid restoration of plasma had the effect of diluting the testosterone concentrations in my blood, which meant real consequences for my biomarkers and my body composition. In the future, I’m going to try a double red cell donation, which returns most of the plasma back to your body, in the hopes that this will mitigate undesirable consequences of blood donation. If I hadn’t been regularly monitoring my biomarkers, it’s unlikely that I would have found this connection. When I did identify the relationship, I was able to arrive at a reasonable explanation for what was otherwise a mysterious and frustrating plateau. Even better, I now have a plausible strategy for coping with it in the future. Among other things, I believe this illustrates how important it is to use metrics besides weight to track progress. Thanks to objective data and science-based recommendations, I’ve had more success using InsideTracker to reach my fitness goals than any diet and exercise program I’ve previously tried. I’m going continue following my InsideTracker-based regimen to reach my target weight, hopefully in the next couple months, at which point I’ll transition to a maintenance plan. After that, we’ll see! Given my interests, I’ll probably start to focus on strength gains. Wondering what ALL of your biomarkers mean? We've created this handy biomarker guide for reference—it's FREE & it's yours to download!